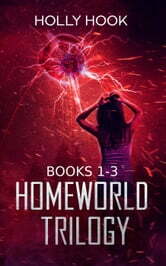 This set includes all three books of the Homeworld Trilogy, a War of the Worlds retelling. Five hundred years in the future, the Earth is dying, overrun with pollution that the Great Council refuses to stop. 16-year-old Tess is a proud Earther who wants to save the planet, but the government says that shipping all humans to Mars must happen for humankind to survive. Tess fears the day she gets drafted because no one ever hears back from the Red Planet. 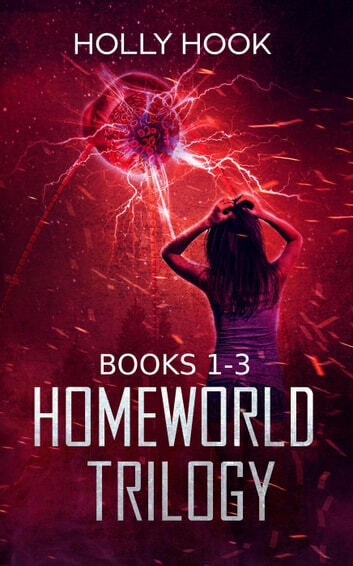 When Tess's turn comes to board a one-way ship, she discovers a horrible truth: an alien race has taken over the government and wants Earth for themselves. But Tess's horror has only begun. The settlements on Mars are harsh, where colonists struggle to survive. All Tess wants is to get back to her rightful home, but by running into Matthew, a fellow colonist with some secrets of his own, she gets wrapped up in a dangerous plan to do so: Mars must invade Earth. Tess has no choice but to face war, and perhaps even to question the identity she holds dear.